The NWS has added a second area of tornado risk for later today that includes Tulsa. 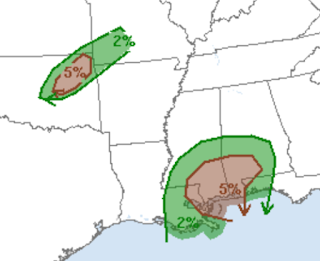 There is a much greater risk of tornadoes on Wednesday. I'll have more on that earlier this afternoon.